Light rain (totál 8.0mm), mostly falling el sábado por la noche. Very mild (max 18°C el martes por la tarde, min 7°C el domingo por la noche). Wind will be generally light. Light rain (totál 3.0mm), mostly falling el martes por la noche. Very mild (max 15°C el martes por la noche, min 1°C el miércoles por la noche). Winds decreasing (vientos frescos desde el NO el miércoles por la mañana, calma por la tarde de viernes). La tabla anterior muestra el pronóstico de tiempo para Calabogie en la altitud específica de 270 m. Nuestros modelos meteorológicos sofisticados permiten prever pronósticos para la cumbre, la mitad y la base de Calabogie. Para aceder a los pronósticos de tiempo a otras alturas, pinche en la navegación en la parte superior de la tabla. Para una visión general, consulte el Mapa meteorológico de Canada. I have skied locally at Calabogie for years and so far 11 days this season. Unfortunately, this year the hill conditions are the worst I have ever seen in spite of the excellent early winter (lots of natural snow and consistently below freezing temperatures). 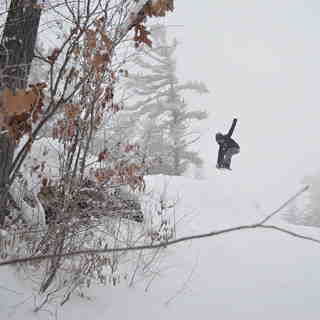 Conditions on the ungroomed runs are not just bad but dangerous. Further, this year the snow guns have been producing slush instead of dry snow so the conditions on many of the groomed runs can only be described as very icy. 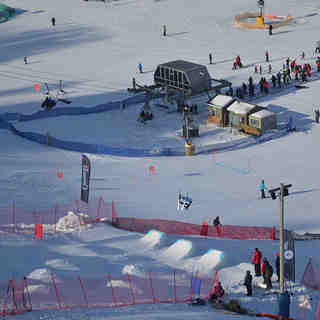 Finally, the terrain report published on the hill's web site is inaccurate - even the glade runs are shown as groomed! Finally, I have observed that some (at least 3) of the ski patrol (Calabogie Peaks employees) they do have are unable to ski (multiple falls in the course of a single run) in difficult ski conditions.